Potentials Realized offers training, coaching and consulting services for individuals, teams, groups and organizations. We bring an established track record working around issues related to team development, leadership development, succession planning, talent management and project management. Our main focus is on helping teams and groups excel through enhanced conversations, skills and leadership. As an award-winning program designer for our work in the area of coaching and mentor skills training, we have created and delivered programs for governmental agencies, community groups, professional associations, corporations and the non-profit sector since 2004. In October 2016 we received a PRISM Award for Excellence in Coaching from the International Coach Federation- Toronto Chapter, in recognition for the work we did with The Scarborough Hospital in establishing a Coaching Culture. We bring design and delivery experience in a number of sectors including: health care, financial services, education, pharmaceuticals, and the environment. We have also provided programs for some of Canada's Top 100 Employers. We offer both in-person and virtual services across North America and the globe. For the last 12 years virtual programming has been a mainstay of our work, and we support a variety of large and smaller organizations in "virtualizing" their classroom based training. We have also focused on support to small businesses and in 2007 contributed to the Guide for Women Starting their Small Business in York Region, and the YBECS Small Business Coaching Webinar series. Potentials Realized was founded by Jennifer Britton, author of From One to Many: Best Practices for Team and Group Coaching (Jossey-Bass, 2013) and Effective Group Coaching (Wiley, 2010). She is an internationally recognized expert in the area of coaching and team development. Jennifer continues to offer Continuing Coach Education programs approved by the International Coach Federation (ICF), and has trained hundreds of coaches and leaders in coaching skills over the last 10 years, from organizations ranging from the federal government, to the Cooperators, to UNICEF. Retreats and support for Small Business Owners and Virtual and Remote Professionals through our PlanDoTrack series of programs. Support for enhanced virtual conversations through our Effective Virtual Conversations series. Founded by Effective Group Coaching Author, Jennifer Britton, we bring deep expertise in the areas of team and group coaching, leadership, capacity building, collaboration and coaching skill training. We also bring expertise in the areas of team leadership issues, global leadership issues, and working with virtual teams. Click here to download case studies and descriptions of our past work with clients. Download case studies and descriptions of recent work we have completed. We were one of the first Authorized Partners for the Five Behaviors of a Cohesive Team program, a program grounded in the work of Patrick Lencioni, which provides an opportunity for teams to become more cohesive and high performing. We are also an Authorized Partner of the Everything DiSC and provide Everything DiSC assessments along with related training and coaching support, including the Everything DiSC profile, the 363 for Leaders, and the Work of Leaders. Sensitive to the diverse needs of corporate and individual clients, we offer programs in a range of formats (teleseminars, webinars, in-person workshops, coaching, retreats), customized for the needs of each client. We are also pleased to offer carbon friendly options for corporations and individuals through our virtual retreats and intensives. 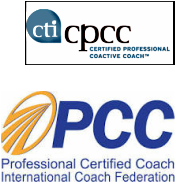 Coaches can visit GroupCoachingEssentials.com for more information regarding upcoming ICF CCE approved Coach Training programs. For more information on any of our services, please contact Jennifer Britton at (416)996-TEAM (8326) or by email at info@potentialsrealized.com.